Two newspaper items (one in New York Times, the other, Financial Times) reveal why America is crumbling. California’s Oroville Dam, America’s tallest, has a crumbling spillway that forces evacuation of 200,000 nearby residents. 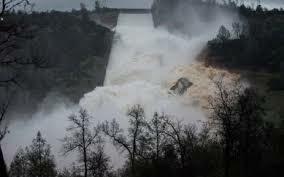 (A dam collapse in California in 1928 killed 400, as a wave of water swept over them). As early as 2005, experts spotted a design flaw in the dam – never corrected. Heavy rains filled the reservoir to capacity, and severe weather because of global warming reveals that this dam, and many others, are not up to the changing weather patterns, for which they were not designed. There are 1,585 dams in California, notes the NYT, and 90,000 dams across the U.S. Many are in poor shape. Why? “Government is more inclined to invest money in building new projects, than in less visible and glamorous maintenance”. America is a consumption-driven society that under-saves. A $500 b. trade deficit (imports minus exports) for nearly 3 decades is a symptom. China is not to blame. The U.S. itself is. It is comfortable to borrow money from China to buy consumer goods. Some 23 years ago, my wife Dr. Sharona Maital and I published an article, in the Journal of Socioeconomics, in which we warned about a drastic fall in savings behavior in the US and Western countries. * Nothing has changed since. So, in the post-Trump era, America has gone back to borrowing, to buy consumer goods rather than maintain its dams, its roads, schools and infrastructure. And President Trump? He is rapidly running down his checklist of promises, issuing so far 11 Executive orders. But what about that trillion-dollar infrastructure plan? Dead silence. Why? Because it will take a vast plan to design and implement it. In the current chaos of the new Administration, it is unclear whether the Trump presidency is up to the challenge – or even whether it is aware of the problem. So America – at least, its dams and roads – are crumbling. I don’t see a solution in the near term. * Shlomo Maital and Sharone L. Maital. “Is the Future What It Used To Be? A Behavioral Theory of the Decline of Saving in the West”. Journal of Socio-Economics, vol. 23, 1,2. 1994. Writing in the American Psychologist (2016, no. 4. ), Jacquelyn Boone James and Christina Matz-Costa, along with Michael A. Smyer, make a simple, key point. Retirement security is NOT just about having enough money. It is also about “psychological security” — the desire to stay engaged, contribute to society, and feel a sense of belonging in later life. I am 74 and am keenly aware of this. At this age, it is a daily struggle to remain relevant for those around me. How to do it? 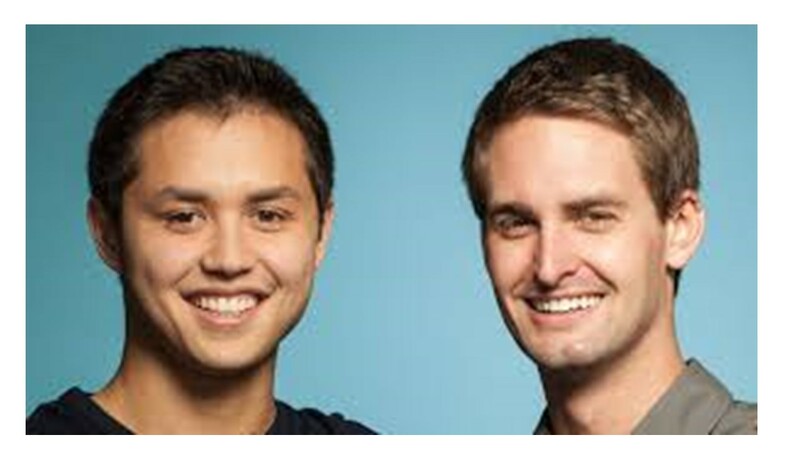 Find new and better ways to “create value”, the mantra of entrepreneurs. Support grandchildren (and children), and provide them with the previous-generation computer, tablet, smartphone or automobile; encourage them, give gentle advice, and just be there to listen. Be a good colleague. I regularly bake bread for my officemates; small but for them, noticed and valued. Bring your experience to the table. Do it gently, because the world changes rapidly – but often, noting what has gone before is of value to those who are unaware of it. Generate lots of ideas, and then give them away – let your colleagues grab them and run with them, and even own them. Giving up a child for adoption is painful, but giving up ideas for adoption can be glorious. Give praise and encouragement generously. Often praise (when deserved) is a scarce commodity. Help even the score. Be a good listener. Offer your ear to your colleagues and your family, and simply listen attentively. Sometimes, that’s all they want. Not solutions, or suggestions, but simply, someone to listen. Invest time to keep up to date. A key part of relevance is knowing what is going on today. If your knowledge is dated, and it quickly becomes so, it will be less and less valuable, and you will be less and less relevant. Work at creating value for those around you daily, make it a part of your life, and you will ultimately achieve a large measure of psychological security, because you will be needed by those you love and care about – and nothing can be more important or meaningful, for seniors. A team of Technion-Israel Institute of Technology physicists (led by Profs. Kinneret Keren and Erez Braun, with a group of students) has published breakthrough research in the journal Cell Reports. It is unusual for physicists to publish in a biology journal. Here is the story. 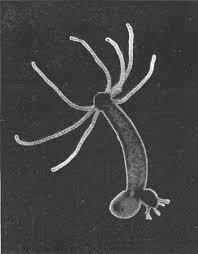 The subject of the research was the amazing ability of the “hydra”, a tiny fresh water animal, 1 cm. in size (about half an inch), to regenerate itself. The hydra’s skeleton has a built-in memory that enables it to regenerate. If you take a piece of hydra tissue, it can soon regenerate the entire animal. But how? Until now, it was thought that this worked through chemical signals that guided the tissue on how to create a head, tentacles and a foot. But the new Technion study finds a different explanation. It is done with thin protein fibers. The skeleton of the protein fibers survive, and they instruct cells how to arrange themselves to create an adult body. First, the pieces of tissue severed from the hydra form a small ball. This forces the protein fibers to balance the preservation of the old skeleton structure and adaptation to the new ball. New body parts develop, based on the pattern information stored in the skeleton. The ball soon sprouts a mouth and a whole new animal. 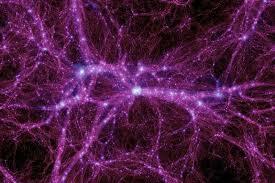 The physicist researchers used their science to understand the physical role of the “ball”. Could this one day lead to a technology that enables humans to regenerate their body parts? Far fetched? Indeed. But it could happen. The fruitful research of physicists in biology reminds me of a meeting I had with a distinguished Indian scientist, during a recent visit, who decades ago pioneered in biophysics, which has since yielded huge bounties. Innovator – if you can link two fields that are heretofore unconnected, you may come up with change-the-world ideas. President Trump recently tweeted his recommendation, that people buy his daughter Ivanka’s upscale fashion designs, after retail chain Nordstrom took her clothes off its shelves. (“They don’t sell,” Nordstrom claimed). 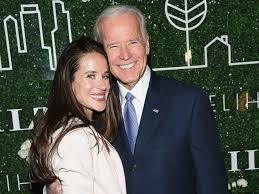 Another famous politician has a designer-daughter – former Vice President Joe Biden and his social worker daughter Ashley. Her story, and product, are a bit different. According to Elle Magazine: “Ashley’s new ethically produced, American-made clothing company, is a project any dad would be proud to get behind. It kicks off with a range of supersoft organic cotton hoodies on sale for just a few weeks, starting February 8, in partnership with the flash-sale behemoth Gilt: The entirety of the proceeds from the debut collection will be channeled to programs that work to alleviate poverty through education, training, and job placement. Does it take a privileged daughter of the U.S. Vice-President, to explain to us how little we the privileged understand about the life and hardships of the one in seven who live in poverty? And will we opt for the role model of Ivanka Trump, who sells to the wealthy, or Ashley Biden, who works for the poor, and has done so for her whole career?